Building and growing a startup company is often seen as a young person’s game. Stories about small tech companies led by 20-somethings that disrupt entire industries are often written and shared, and that isn’t limited to Western markets. Among the respondents in the 2017 Philippine Startup Report, a sector-wide survey by accounting firm PwC Philippines that sought responses from over 100 startup founders and executives, 67 percent were aged 35 and below. But a Business Insider article published last April shows a different picture. Data from an MIT Study last March that analyzed several startups in the US revealed that the average age of American entrepreneurs when they founded their startups is between 40 and 45. As well, the study showed that the average age of entrepreneurs when they founded a successful or high-growth startup is 45. It’s not surprising, then, that this was what John Patrick “J.P.” Ellis, the group CEO of Singapore-based fintech firm C88 Financial Technologies, started with in his talk at Raid the Fridge last August. The monthly event is held by local venture capital firm Kickstart Ventures, which is also one of the investors of C88. In July, C88 announced that it had closed a Series C funding round worth $28 million (Php1.5 billion) led by global technology company Experian. Two months later, the company said that it raised additional funding as an extension of the Series C round, this time led by Korea Investment Partners. However, C88 did not disclose how much it raised in this additional round. “We are immensely proud to have closed one of the largest Series C fintech rounds in Southeast Asia, particularly from investors who share our vision of empowering consumers and driving financial inclusion in the region,” said Ellis in a statement. 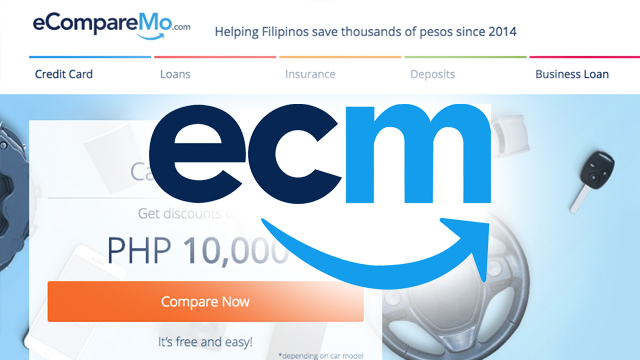 C88 operates eCompareMo in the Philippines, a financial comparison website where users can compare various financial products such as loans, credit cards and insurance as well as take the first steps to getting one. It handles a similar website in Indonesia called CekAja, and it is planning to open a third platform in Thailand. It’s a simple idea, but it’s proven to be a very helpful tool for Filipinos and Indonesians who want to find the lowest insurance premiums, the lowest loan interest rates or other similar deals. Since CekAja and eCompareMo were launched in 2013 and 2014 respectively, the two platforms have served over 50 million customers to date. 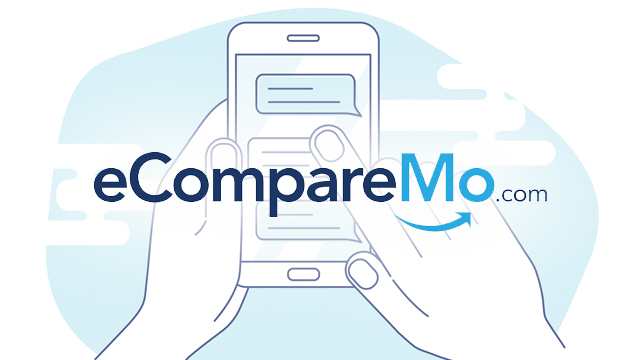 Locally, eCompareMo is used by more than 500,000 customers each month, and C88 has made sure to make the process of learning about financial products and finding the best deals be as easy and accessible as possible. It announced last March that it will soon be rolling out a chatbot that will serve as an around-the-clock help desk on the website. “C88 and our brands, we exist to champion financial access to the nations that we serve,” said Ellis in his presentation. But that championing has gone beyond the comparison of products and has extended to providing customers the means to be eligible to purchase them. Since a majority of the customer base in the Philippines and Indonesia is unbanked, very few customers will have a credit score and therefore have the capacity to access the loans and financial products on C88’s platforms. As such, C88 is building an alternative credit scoring model that will be integrated within its platforms. This will be based on data from every search and inquiry it receives on eCompareMo and CekAja, offering a way to score the majority of Filipinos and Indonesians who are unbanked. C88 is aiming to be one of those pools of data, and they aren’t doing it alone. Experian, which led the fintech’s Series C funding round, operates one of the world’s most extensive network of credit facilities, and its technology will help C88 in building a credit scoring model catered specifically to Southeast Asians. Giving every Filipino a credit score sounds ambitious, but for Stephanie Chung, co-founder and managing director of C88, it’s essential in driving financial inclusion and uplifting the lives of many Filipinos. “If you go to our website, our hashtag is #WiserWealthier because our advocacy in the Philippines is to create a strong middle class,” Chung told Entrepreneur Philippines in the sidelines of the event. Indeed, the Bangko Sentral ng Pilipinas' latest Financial Inclusion Survey showed a direct correlation between income class and financial access, with those in higher socioeconomic classes being more likely to have financial accounts. According to the survey, 51 percent of Filipino adults belonging to the ABC socioeconomic classes have a formal financial account. That shrinks to 24 percent for Class D and only 14 percent for Class E. The survey shows similar statistics for services such as savings, insurance and investments. While the biggest barrier to accessing these services is the lack of money, the survey also showed that some Filipinos do not have the necessary documentary requirements to be eligible for these services. And for loans, that includes a credit score. “We’re here to really champion financial access to everyone, not just for the chosen few,” said Chung. “We need to have equal opportunities for everyone, and that’s really something that’s very close to our hearts. With the $28 million worth of funding as well as the partnership with Experian, C88 is that much closer to achieving that goal. And Chung, Ellis and the rest of the team are confident that they are in the prime position to drive the country towards financial inclusion.